Quality management studies over time grow in importance both in the academic and the enterprise world. What was previously treated in isolation, these days are essential to the survival of an organization. Thus, the parts that make up the quality processes of the institutions must be studied in a continuous way aiming at optimizing the whole process. In this context, risk management, which despite having a range of guidelines and frameworks, is little applied in the context of quality management, and does not play a relevant role in the implementation of processes. However, the latest version of ISO 9001:2015 presents requirements focused on risk management. Therefore, the present article aims to outline a profile on the insertion of risk management into the scientific productions focused on the study of the ISO 9001:2015 Quality Management standard. In order to reach the objective, a descriptive and a content analysis was carried out, with samples of documents belonging to the Web of Science Core Collection and the Scopus database, from 2015 to 2018. 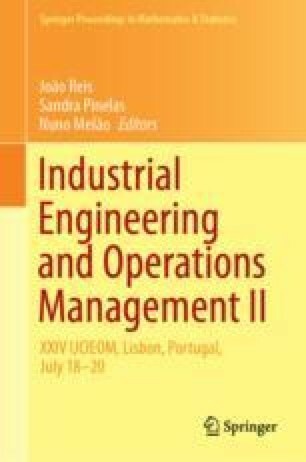 After the analyzes, it was possible to identify the consistent evolution of the publications, diversity of journals interested in the subject, interdisciplinarity between quality management and risk management and finally the relevance of the risk-based thinking, the influence of ISO 31000:2009 and the integrated management system.